I've added a "pregnancy" label on my sidebar if you want to catch up! Super cute idea! I had a friend do the same thing and made a slideshow with it, which was only about 20 seconds long, but super fun to watch as her belly grew. Your pictures would be perfect for that! Congratulations!!! What a great collage! I kicked myself for not doing this with my first, and here I am more than halfway through my second and I didn't do it again :( Love that last photo of you two! I love your little bump! Watching a baby grow each week is such a blessing! Your rocked an awesome wardrobe! Loved seeing this. So fun, this will be so awesome to have and compare with your next pregnancy! You looked amazing pregnant, not many people can pull that off, but you totally did friend! Congratulations on Ethan - he is SUCH a cutie!!! 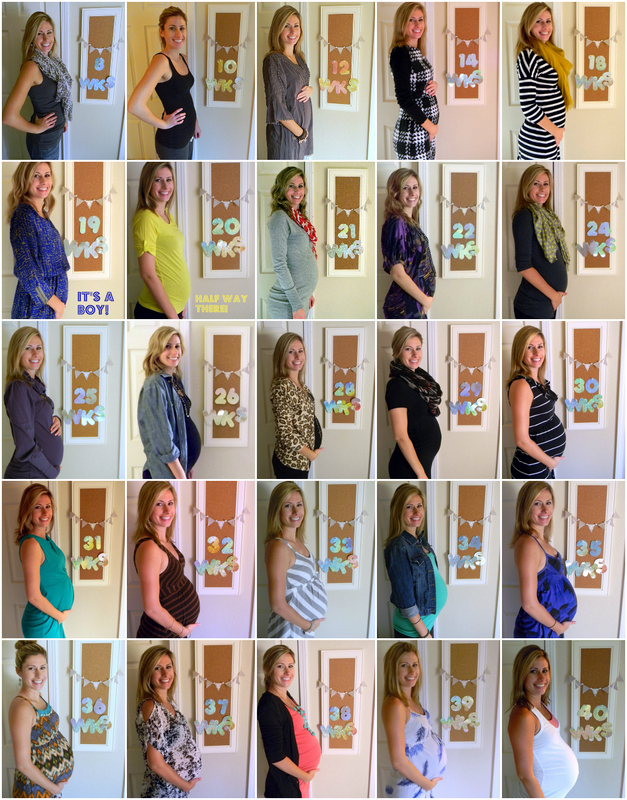 Wow, that is so amazing to see the progression of the baby bump! Especially now that you have your handsome little guy in your arms (c: This is such a brilliant idea, so glad you did it! Great idea and so fun for the two of you to look back on one day. I wish I would have been more diligent with this the second time around! So much fun to watch the progress :) I looked at my last and my first and was like WHOA....so glad i'm getting back to normal now. I loved these 'bump' updates every week. It's funny how you can even notice the change of seasons through your outfits. My favorite outfit is the one with the mustard (my favorite autumn color) scarf. 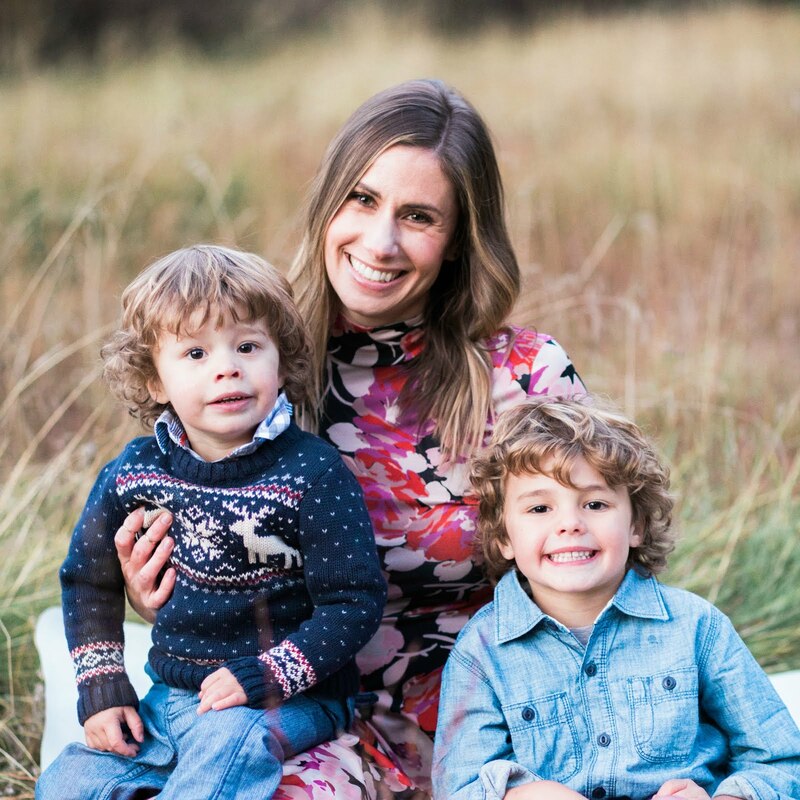 It was fun to follow along on your pregnancy journey and you were always so stylish Natasha! Pregnancy suited you well and so does motherhood. Natasha, I'm late in catching the news of Ethan's birth, but just wanted to say congratulations. He's beautiful! The collage is so awesome! What a great idea to put it all together like that in one place. So fun :) and SUCH cute outfits! Love the last picture of you and baby! I have so many questions for you and have a note in my planner to write you a email about your opinion on different things--like what to bring to the hospital-now that my due date is creeping up.